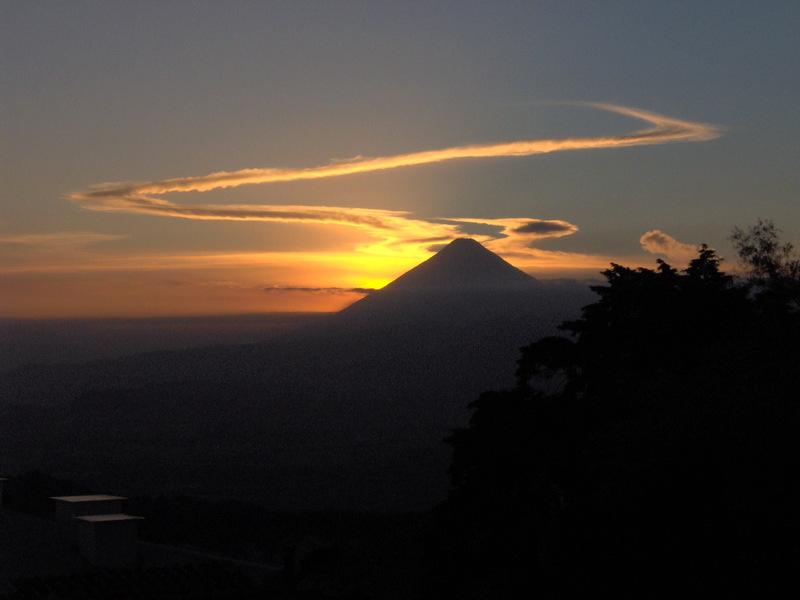 As a small country, Guatemala is packed with rich geography and natural resources–mountain ranges, volcanoes, fertile valleys, and picturesque lakes and coastlines. Sadly, the country is also subject to an assortment of devastating natural disasters–mudslides, volcanic eruptions, earthquakes, and hurric anes. The landscape also has been degraded by the human-caused disasters like air and water contamination, deforestation, and poorly-regulated mining operations. Guatemala’s rich ethnic diversity is evidenced by its many Mayan ruins and colonial buildings. About half of its fourteen million inhabitants are of Mayan descent, distributed into twenty-three indigenous groups with distinct languages. Most other Guatemalans are ladinos, who identify more with Spanish language and culture. Guatemala is a country of stark inequities. Historically the ladinos have benefited from more power and wealth than the Mayan population, and are notorious for grabbing land and violently suppressing uprisings. However, there are lots of poor ladinos, and quite a few prosperous indigenos. Women are often suffer severe discrimination and violence, largely due to the culture of machismo. Three-fo urths of Guatemalans live below the poverty line. Most of the poor rely on agriculture for their subsistence, a way of life made increasingly difficult by rapid population growth and land shortages. Malnutrition is widespread among children. A deficient education system and rampant child labor mean that less than half of children are in school. Although a lengthy civil war ended officially in 1996, violence hasn’t subsided. Guatemala has one of the highest murder rates in world. Gang killings, deadly hold-ups and extortion attempts, and lynchings are commonplace. Because of past abuses, police have a bad reputation and are poorly funded. Since the courts tend to be politicized and subject to intimidation, criminals enjoy high levels of impunity. Guatemalan people are are well-known for being industrious, and for their hospitality and politeness. They value their cultural traditions, although some traditions are weakened by growing exposure to outside influences through technology like television and cell phones. Changes have also been caused by the high number of Guatemalan immigrants to the U.S. in recent decades (over a million), the remittances they send back to their families, and the eventual return of many of them. A multitude of non-governmental organizations (NGO’s) and faith-based organizations work throughout Guatemala, providing help in areas like health, education, sanitation, human rights, and protection of the environment. In recent years the United Nations has focused on the need to reduce government impunity, and the U.S. has worked closely with the government to combat drug traffic and to support economic development.